Exactly one month ago we flew the kids down to Orlando for a long weekend trip. Boy, was it nice to be in the south again! I missed the palm trees. 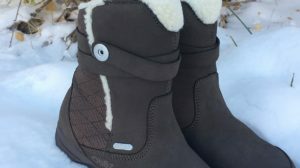 The weather was absolutely perfect, with sunny skies and highs of 80 degrees every day. Believe me I’ve been thinking about it often as I sit in single digit temps this week. 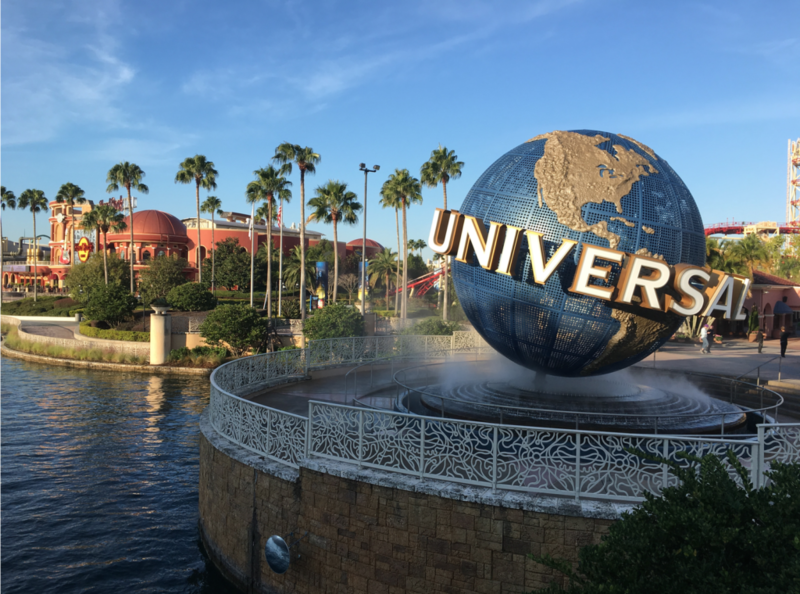 Our 3 nights and 4 days were filled with family fun at Universal Studios. Let me tell you all about it. I have been to Orlando many times in my life and I have never stayed at one of the theme park resorts. This time we did and I can’t tell you how wonderful it was to be within walking distance (or free fast shuttle!) of everything! 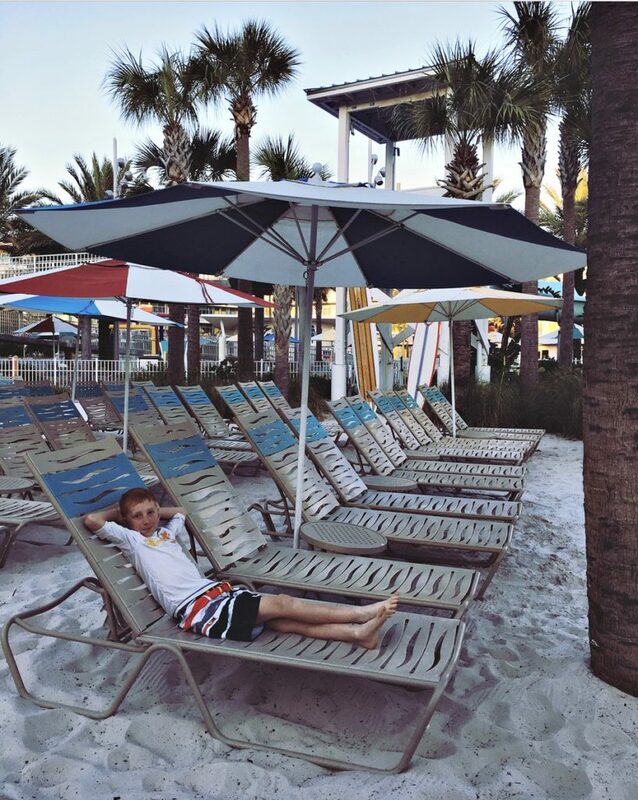 The Cabana Bay Beach Resort at Universal Studios was perfect for this beachy family. I had tears in my eyes when I put my toes in the sand, and it wasn’t even the ocean! Our room fit our family to a tee with the 2 queen beds and then a sofa bed couch. The suite was divided into two areas with two TVs so we could split up a bit, which was great at night when some of us wanted to fall asleep before others. The kitchenette was a wonderful addition with bar stools to sit down and eat. A microwave, fridge, sink were used for food and drinks. They had a fabulous self-serve diner with tons of options for every meal and we ate there a couple of times. 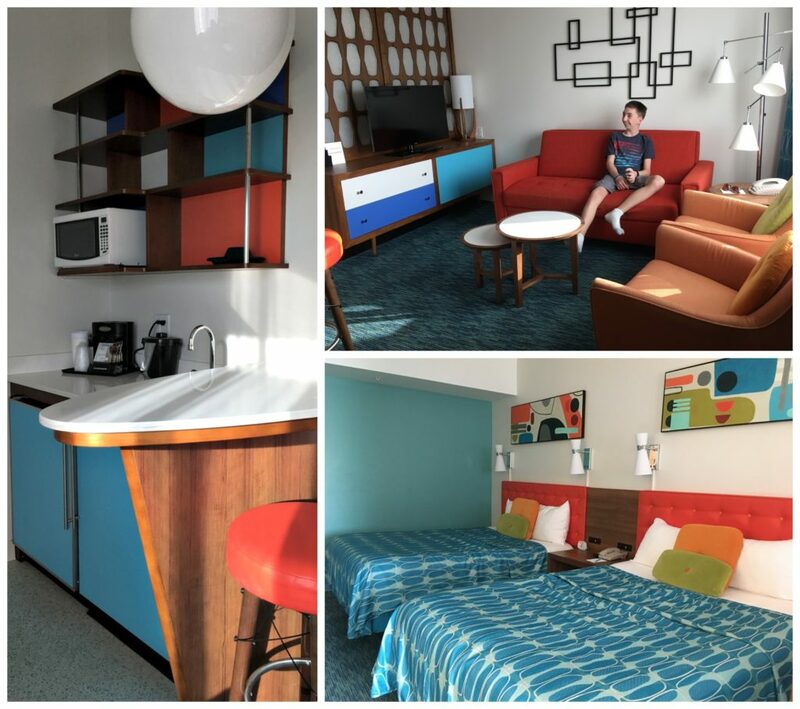 It was a 50s themed hotel and the oldie decor made us smile! Almost every minute though was spent for family fun at Universal Studios theme parks. 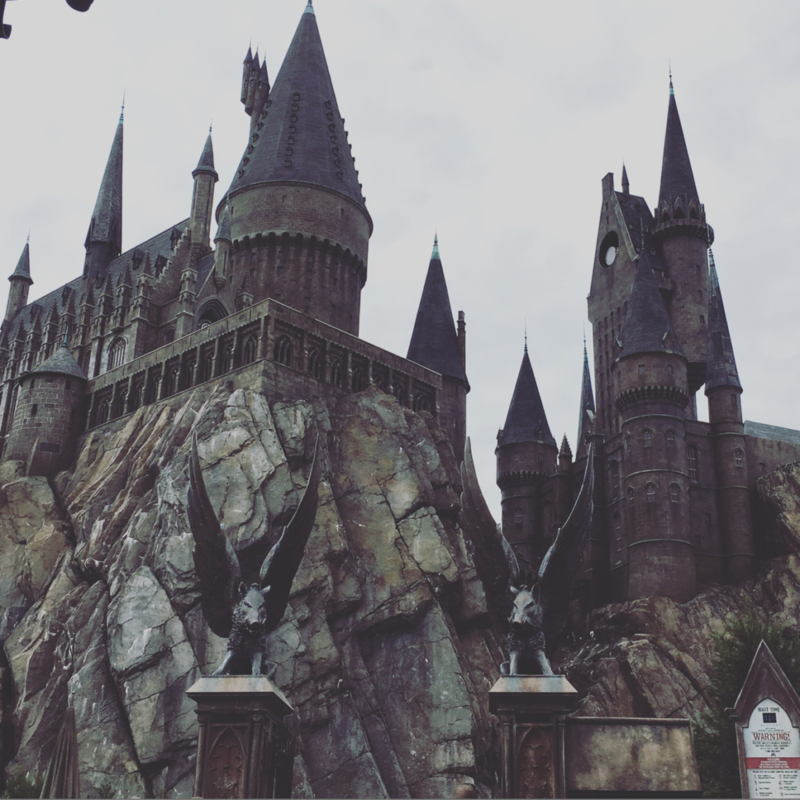 We flew across the country for a chance to experience The Wizarding World of Harry Potter which is now split up between the two theme parks. The ‘older’ section is at Universal’s Island of Adventure. I remember many years ago rounding the corner and spotting Hogsmeade for the first time. It is so magical as you walk through a storybook and spot all the familiar areas you already know from being a huge Potter book fan. Ollivanders to buy a wand (soooo fun! ), Honeydukes to lick a sweet treat, Dervish and Banges to buy your magic supplies and Three Broomsticks to eat a meal. My most favorite ride of all time is Harry Potter and the Forbidden Journey at Hogwarts (above!). I’ve ridden it four times now and could again and again! 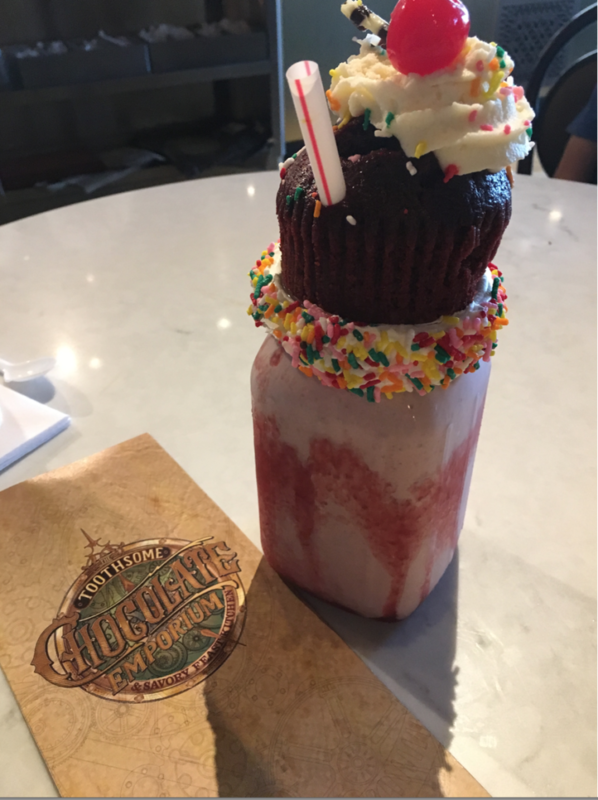 I tell everyone who is visiting Orlando that the best place in the whole city – out of ALL the attractions you could possibly visit there – is the Wizarding World of Harry Potter, if you read the books and are familiar with him. Well, maybe even if you haven’t. And that was before the new section was even built! Now there is a second Harry Potter World at Universal Studios Florida and it is Diagon Alley. 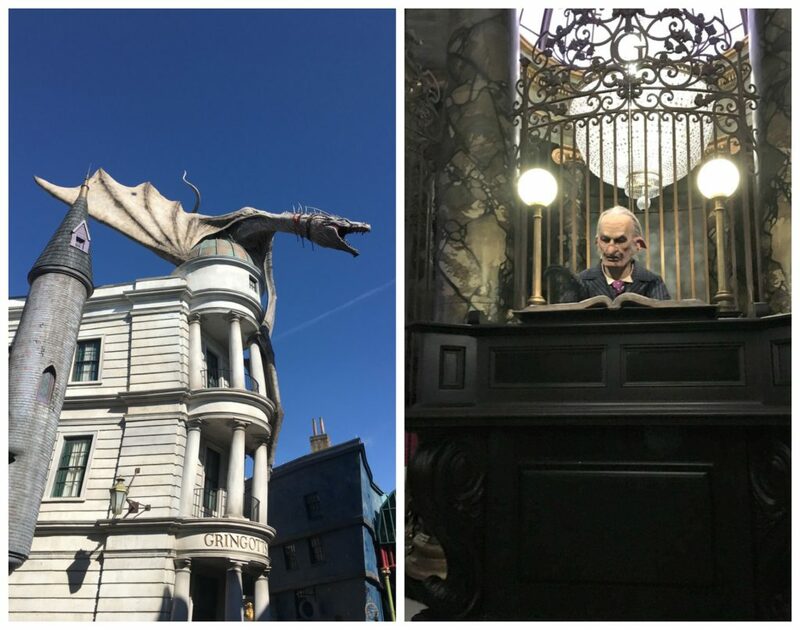 Another great ride called the Escape from Gringotts where you are traveling through the vaults with a fire-breathing dragon at your tail. The effects are spectacular! You’ll also want to visit the Leaky Cauldron when you get hungry, but save room for dessert at Florean Fortescue’s Ice-Cream Parlour. Visit the dark arts alley at Borgin and Burkes and laugh while in Weasleys’ Wizard Wheezes. The absolutely, most fantastic part of the entire thing? What I had been DYING to do since the moment it opened? 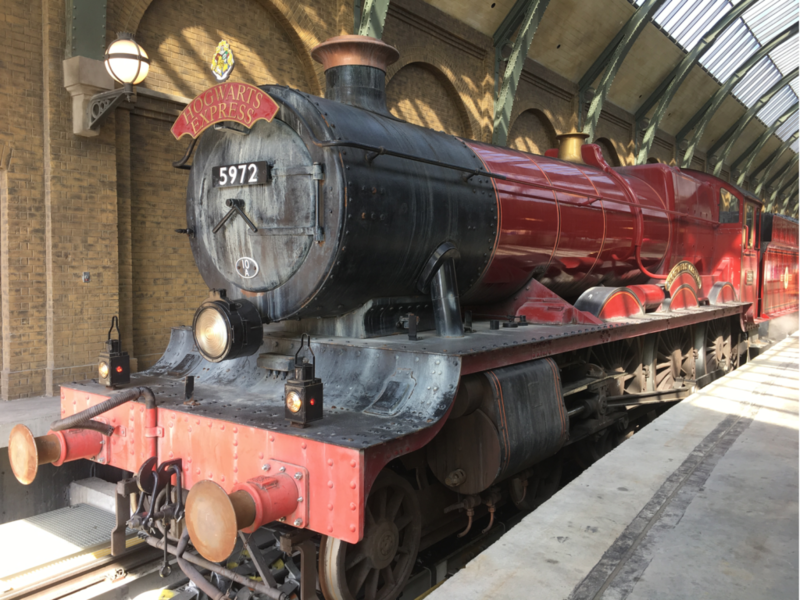 Ride the Hogwarts Express! YES! 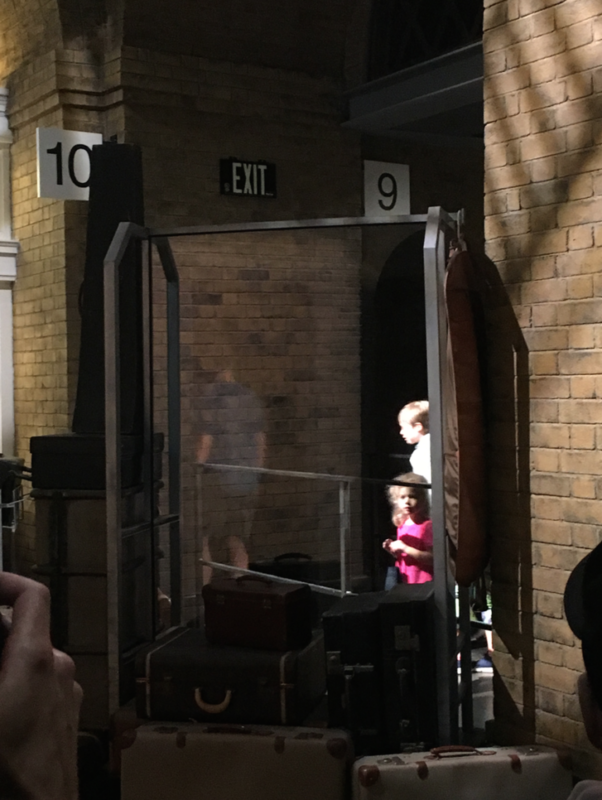 At King’s Cross Station, we walked through the wall at Platform 9 3/4 and rode from Hogsmeade to Diagon Alley and back again! Each was a different adventure. They made me get off at each station and I didn’t want to. I could have rode it forever with Harry, Ron and Hermione. You will feel magical as you wander these worlds. WAIT! I almost forgot to have you check out the ButterBeer!! Hubby – King Kong. A new ride that is super duper fun! Me – Spiderman. It makes me giggle the entire ride. I love it! C’Man – Terminator. Such a classic! O’Bear – Transformers. So real! P’Diddy – Men in Black. You get to shoot aliens! Express Pass – we went in November which is supposed to a be a ‘slower’ time, but it was busy. This pass is the BEST and lets you go in a separate line to get ahead. Child Swap – bring your kids to all the rides. They can wait in line with you. Most of the time the rides have great effects and scenery and characters to watch as you wait for your turn in the line mazes (especially Harry Potter!!!) and then they just sit in a kids room with a tv, while you take turns riding without them. Does that make sense? 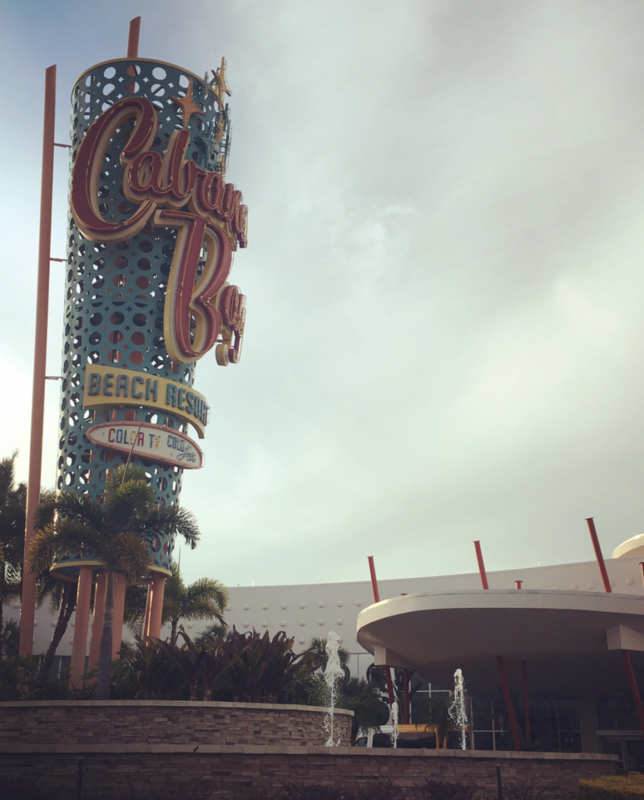 By staying at the Cabana Bay Beach Resort or another one of Universal’s hotels has some perks besides the obvious being so close and getting to experience it all, all the time. 1 hour early entrance into the new Harry Potter Diagon Alley. Still get there early! Free shuttle which means not having to pay and park for miles (exaggeration!) away. There is restaurants and shopping galore at CityWalk which is Universal’s downtown area. Charge everything to the card. We just handed each vendor our room key and so only had one bill at the end of our weekend. Our weekend went way too fast. Already thinking about when we can go back! 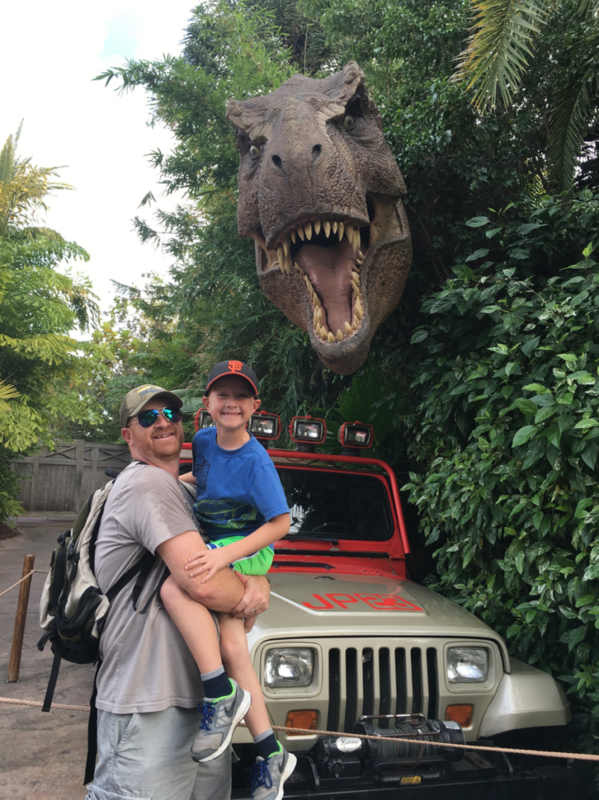 Have you had family fun at Universal Studios? Are you Harry Potter Fans? 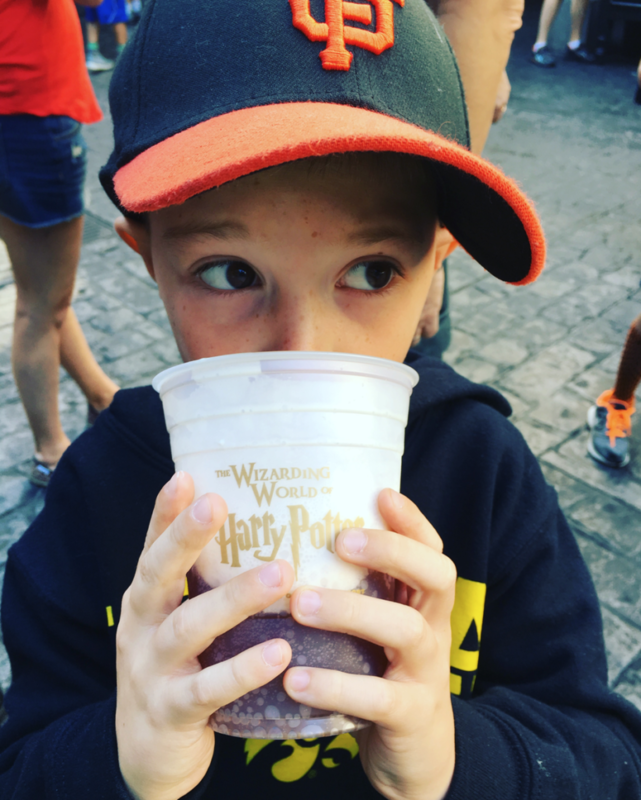 I partnered with Universal Studios for this Family Fun at Universal Studios post. All opinions are definitely my own – this place is great! 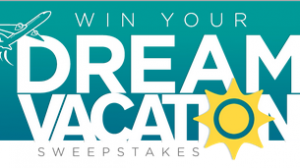 RCI’s Win Your Dream Vacation! 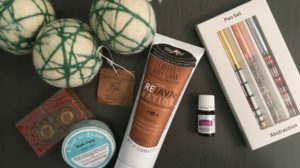 You Plan It You Win It!